TrackRanger software takes the hard work out of navigation, with Big Screen viewing on your Windows Tablet, Netbook or Laptop computer! 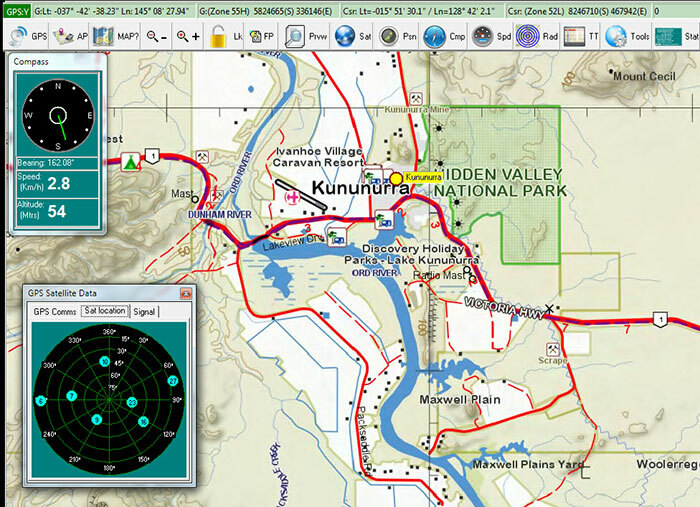 TrackRanger is a powerful and easy to use graphical map-based navigation software package. 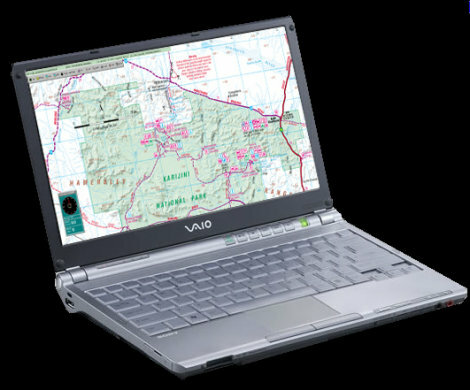 Using almost any laptop PC and GPS device, and maps on CD / DVD you have purchased from Advantech Design (or even scanned yourself! ), you can dynamically plan trips, track your location, receive navigation assistance and much more with TrackRanger. Ideal for four-wheel drivers, caravan and motorhome users because TrackRanger has been designed with these travellers in mind. It accurately plots your GPS position in real-time, and can automatically select the best map so you never have to search for maps again. Press a couple of simple keyboard shortcut commands and TrackRanger will map, track and inform you as your travel, all unassisted!!! 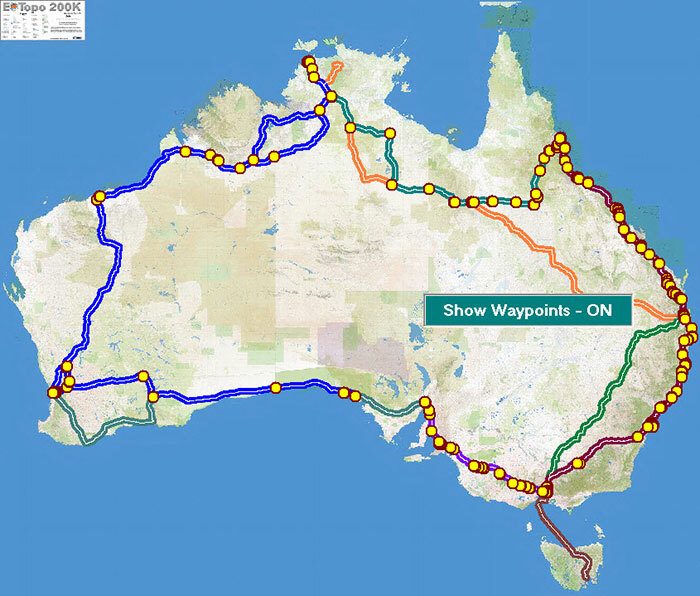 See your travel route instantly on the map as you plan it and even print a travel route summary sheet, giving locations & estimated distances along the way. Choose from a wide variety of maps already on CD/DVD to use with TrackRanger, which offers native support for many maps including UBD, NATMAP, Adventurer, WestPrint, Meridian, Hema maps, etc. TrackRanger’s flexible map format support means it can automatically load and use existing maps or you can easily scan and use your own paper maps with the included map calibration tools. 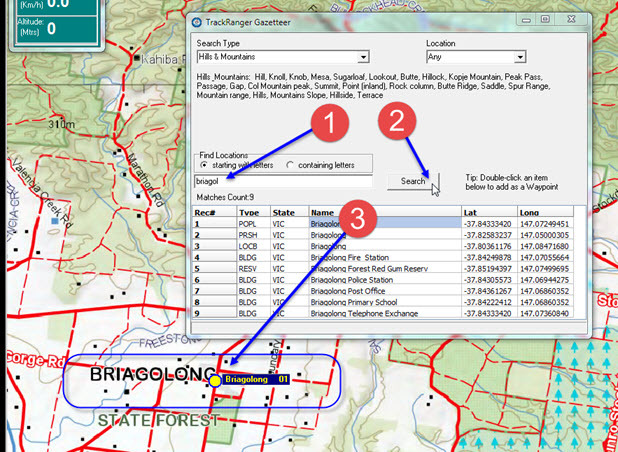 TrackRanger includes support for Map Grid of Australia (MGA referenced ECW maps), so you can take full advantage of the powerful features of ECW maps. Never get lost again because TrackRanger lets you see your exact location on the map as you travel! To make things even easier, the “Auto-Pilot” feature will automatically select the correct map to match your current location, hence TrackRanger can navigate for you! Optimised for use in difficult conditions, TrackRanger lets you instantly see Trip Statistics in large screen format at the press of a button. TrackRanger provides detailed, real-time GPS data at the press of a button. You get a wide range of graphical on screen data including Compass, Speed, Altitude and other directional information, Satellite Locations and Signal Strength plus GPS location data, including Lat/Long & UTM coordinates. Sit back and enjoy your trip because TrackRanger is you personal navigation assistant with features such as automatic alert when approaching locations and directional assistance. Record your journey while you drive, print maps with all of your travel details and even record a GPS log file as you drive, and replay your journey later! Gazetteer – Place name search – TrackRanger includes more than 320,000 easy to search places, just click to instantly add any of them as a waypoint and see the location instantly on the map – Wow!